Introducing the new SEIKO Prospex TransOcean Ref. SBDB017 which is powered by SEIKO’s in-house Caliber 5R66 Spring Drive. The 30 jewels movement has an accuracy of ±15 seconds per month (average) (±1 second per day). Its functions include: a 24-hour hand (dual time display function), a power reserve indicator, a calendar-linked time difference adjustment function and stop second hand function. 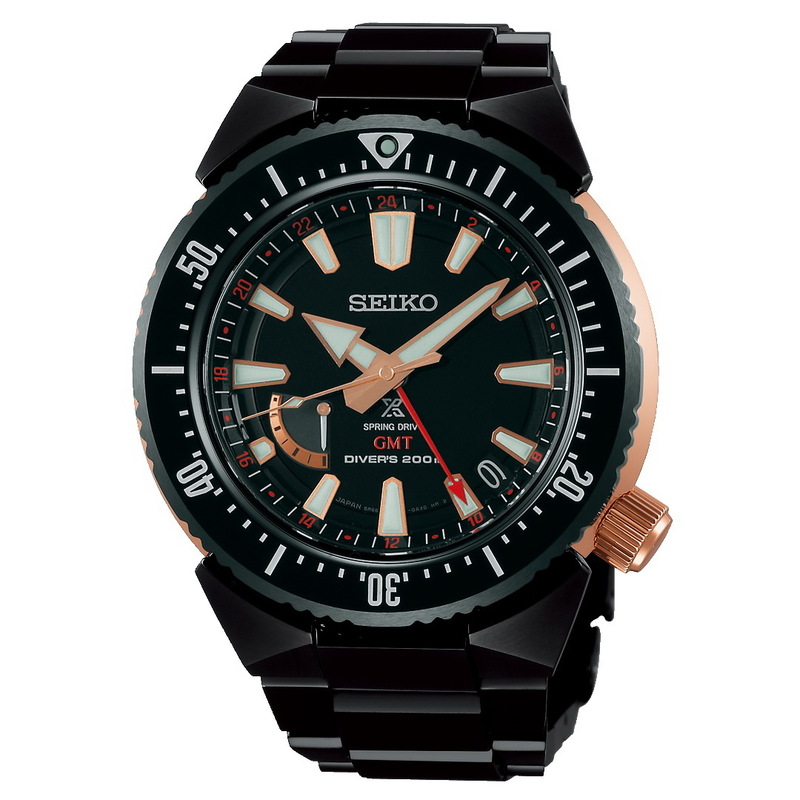 Its dial is in matte black with Seiko LumiBrite applied golden hands and indexes. Its case has a special black coating with gold elements and measures 45mm x 15.4mm with a lug-lug length of 51.7mm. Its weight is 146g. The case coating prevents against nickel allergies. Diving features include: a screwdown caseback and crown, a Sapphire crystal with an anti-reflective coating on its inside, magnetic-resistance, a divers bezel and 200 meters of water-resistance making it suitable for scuba diving. It comes on a full black coated divers bracelet with a double-locking clasp with a push-button release – priced 400,000¥ exe. VAT, the equivalent of 3,885USD.